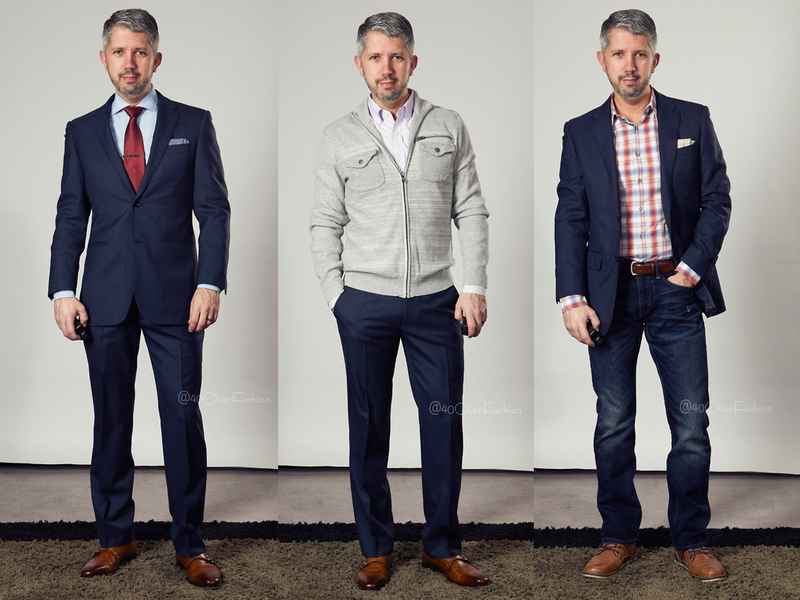 On the heels of my Indochino Suit Review post, I thought I’d cover some more ground and give you a few ideas on how you can break up your suit and wear it as separates. Now, to begin with and get it out of the way, I do realize that wearing a suit jacket as a blazer or sport jacket is what some might call a ‘fashion faux pas’. Listen, I like my wardrobe to be as versatile as possible and unfortunately, I don’t have an unlimited budget to buy a bunch of $600 blazers, so I try to double up my suit jackets when possible. Yes, I’ve been thrifting, but good luck trying to find a 36 jacket. First of all, be careful. Not all suits look good as separates, especially the jacket. 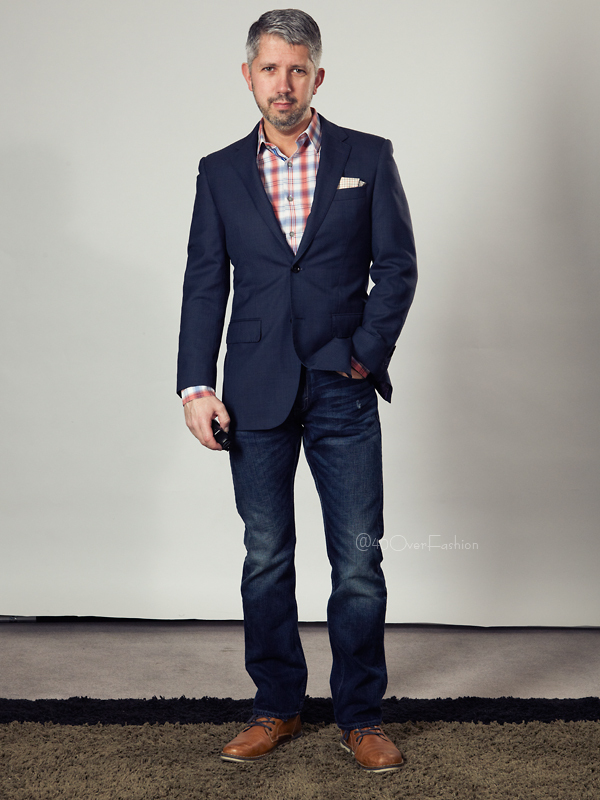 If you have a bold pattern like a pinstripe or windowpane suit, it’s best to keep it all together. Secondly, say you wear the pants a lot more than the jacket, they’ll start to fade faster and no longer match, so try to split time evenly. 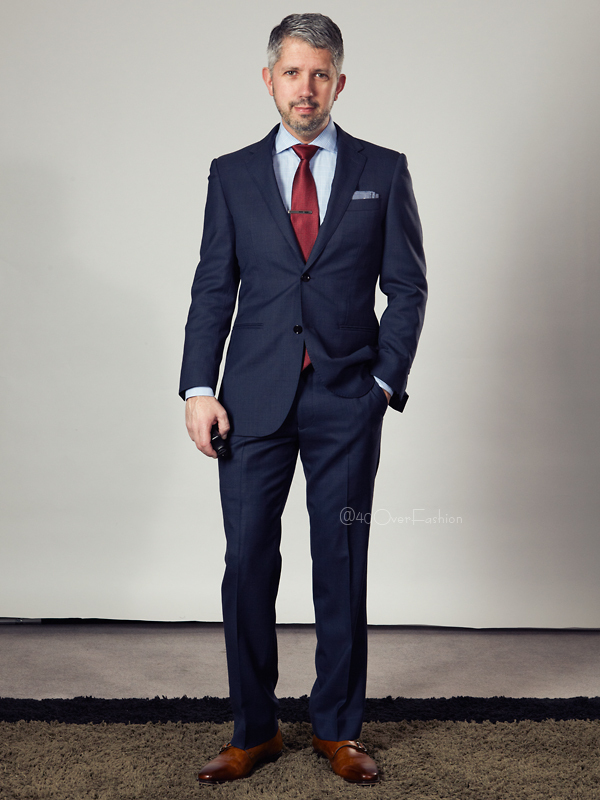 Thirdly, plain suit patterns and heavier materials will look better as separates. 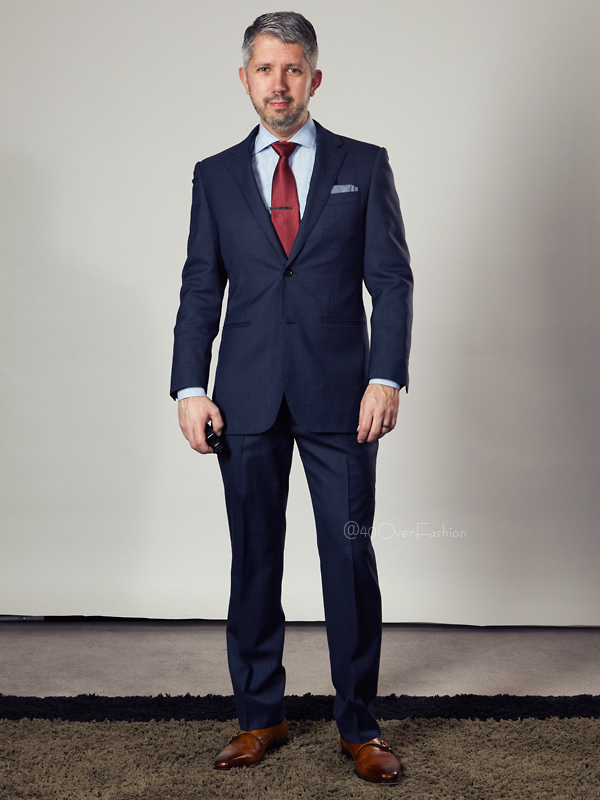 Here’s my blue Indochino suit full booted. Next up, I’ve kept the trousers with the same shoes, but swapped out the shirt with a button collar and went with a sweater. 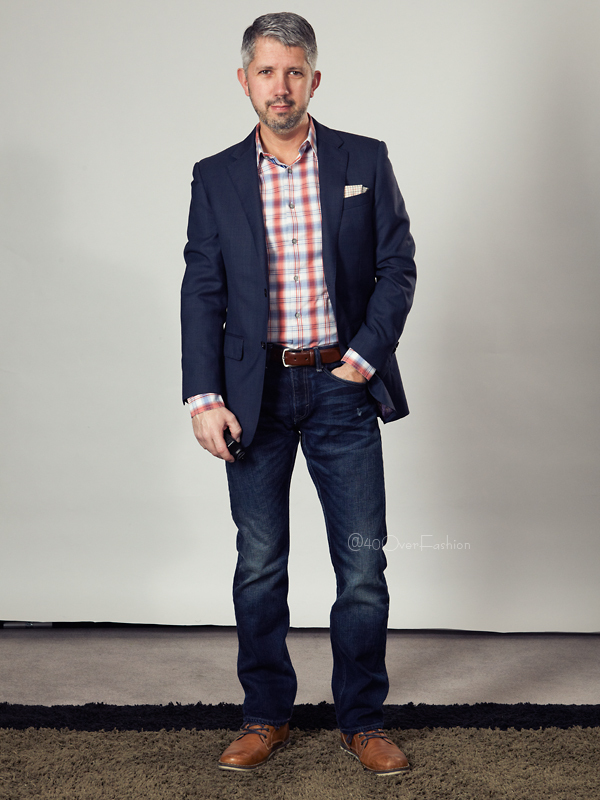 As you probably know by now, a jacket & jeans is one of my favorite looks, so here’s a pair of lightly distressed dark wash jeans, a casual shirt, boots and the jacket. This is a great casual look that dresses down the jacket. Pro Tip: If you have flap pockets, tuck the flap in for a more formal look (see full booted above), and leave the flap out for a more casual look. 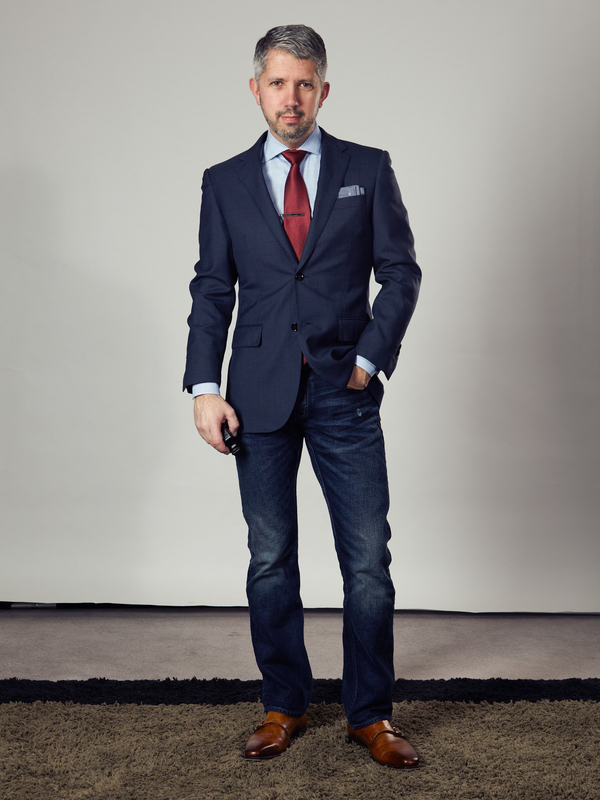 Lastly, you can dress up the jeans by going with dress shoes and a tie. 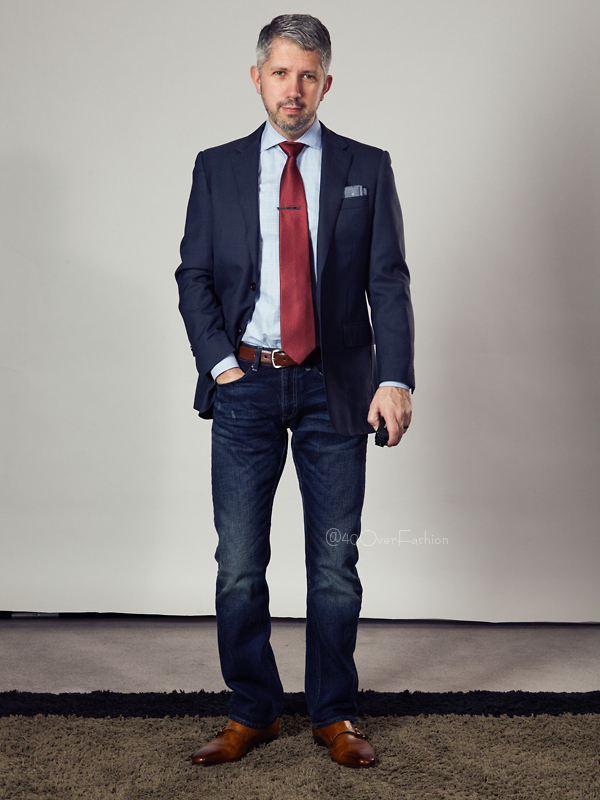 Essentially, the full suited look but with dark wash jeans. Again, one of my favorite looks.